It is a lot more, and less, than you ever imagined. SWOTed by strategy models? Crunched by analysis? Strategy doesn’t have to be this way. Strategy is really all about being different. Thinking about it shouldn't make you reach for the snooze button, but in the world of strategy everybody has become so serious. If that gets us better strategies, fine. But it doesn’t; we get worse ones—predictable, generic, uninspiring, dull. Strategy doesn’t only have to position; it also has to inspire. So an uninspiring strategy is really no strategy at all. The most interesting and most successful companies are not boring. They have novel, creative, inspiring, sometimes even playful strategies. By taking the whole strategy business less seriously, they end up with more serious results—and have some fun in the bargain. 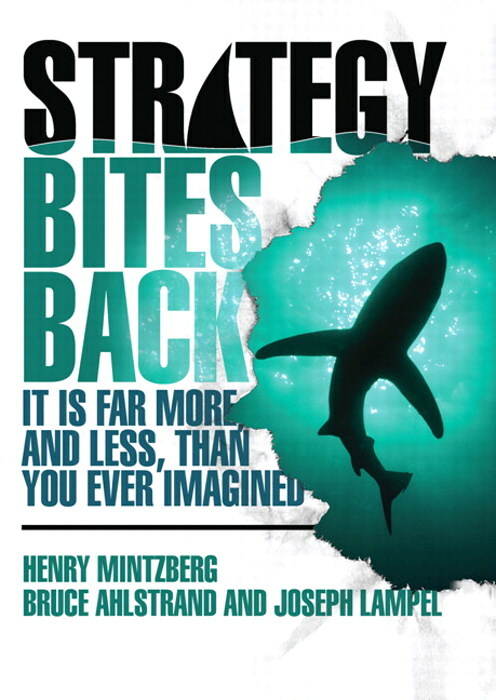 Strategy Bites Back invites you to encounter a diverse and unlikely set of voices with something sharp to say about strategy --- from Michael Porter and Peter Drucker to Coco Channel’s "little black dress". Taken together these perspectives will provide you with new and dramatically different angles from which to attack the world of strategy. and many more antidotes to dull strategy making and blunt business strategies. This book is for everyone involved with strategy – manager, CEO, consultant, professor, student – who wants to see strategy more broadly, more deeply and more playfully. Strategy with a difference starts here, and why not have a good time reading a strategy book for a change? "This is a naughty book, a really cheeky little brat of a book which ought to be spanked soundly and sent to bed without any supper. Except that, if you did that, you would be missing out on a delightful, entertaining smorgasbord of advice, insights, red herrings and jokes that together make up a classic text for business leaders."